These are men who helped carry out Rwanda's horrific 1994 genocide, and then formed a rebel army that has been fighting ever since. After the carnage of the Rwanda genocide, which began 25 years ago this April, the men who carried out the massacre of at least 800,000 mostly Tutsi people fled west to neighbouring Democratic Republic of Congo. Some of them are former members of Rwanda's army. Others had joined the militia known as the "Interahamwe", club and machete-wielding Hutu gangs that carried out the killings targeting the Tutsi minority. But after a quarter of a century haunting Congo's forests, many of these veterans were exhausted and wanted to give up the fight. So a stream of rebels have returned home. Rwanda houses them at Mutobo, a camp some 100 kilometres (60 miles) northwest of the capital Kigali and beneath the Virunga mountains, seeking to reintegrate them into society. Joseph Kabalindwi, a 50-year old former rebel major, said he laid down his arms in 2014 "to promote peace." Kabalindwi was one of 1,563 former FDLR fighters who returned to Rwanda in November 2018, after Congo refused to keep them on their soil any longer. "Even though I left the country a long time ago, I remained Rwandan," said this ex-major with conviction. "Rwanda is my country, and I wanted to go home." The government's Rwanda demobilisation and reintegration commission, which runs the Mutobo camp, has handled 11,000 fighters from rebel forces since 1997. They are then also issued with identity papers and a one-off payment of 60,000 Rwandan francs (66 dollars, 58 euros) to start their new life. In November, Kabalindwi's brothers came to visit. They had last met in 1994. "They were very happy to see me," he said with a smile. "Some of us died in the forests of Congo, so for me it is a miracle from God to find someone who is still alive." "Since we have been here, fear is gradually diminishing," Kabalindwi admitted. For many FDLR fighters, mistrust of Kigali is the main obstacle to their return - as well as the fear of facing justice for the crimes they committed. 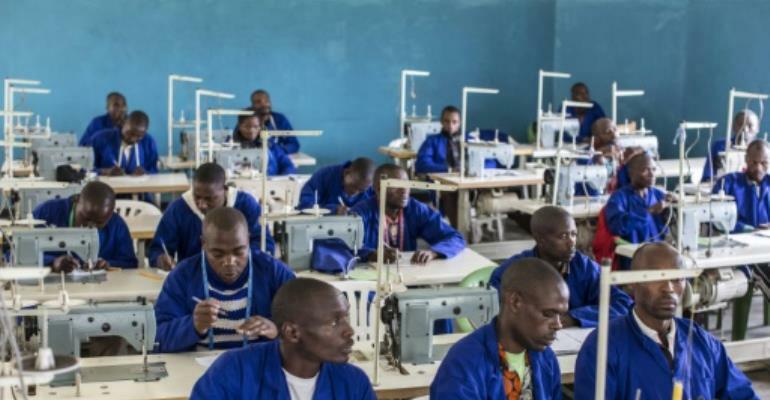 Twiringiyimana passed through the camp a year ago, but has returned for training to become a tailor. "They should come back to the country, to work for their own development," Twiringiyimana said. "They are only wasting time and it will do them no good". One newcomer is Bernard Ntuyahaga, a former army major, who arrived in December 2018 from Belgium after serving 20 years in prison. 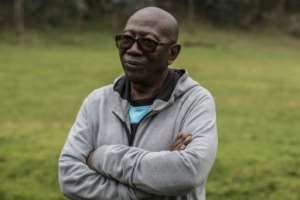 He was convicted over his role in the death of 10 Belgian soldiers with the UN peacekeeping force, who were slaughtered in 1994 as they protected the then Rwandan Prime Minister Agathe Uwilingiyimana. She was also murdered. Ntuyahaga, now in his late 60s, returned to Rwanda in December against his will, after exhausting all legal efforts to remain in Belgium. Now he is taking classes in civic education. "Within just the few months I have spent here, I already feel comfortable," he said. There is, at times, an echo of official rhetoric. It is unclear if he believes it, or if he is wary of criticising the government policies. "I am hopeful for the years that I have left to live," he added.